PIGEON FORGE, Tenn. (Jan. 18, 2013) – It’s likely that the fanciest ice sculptures you ever created were the fish-shaped ice cubes that came out of that plastic ice tray you bought at IKEA. 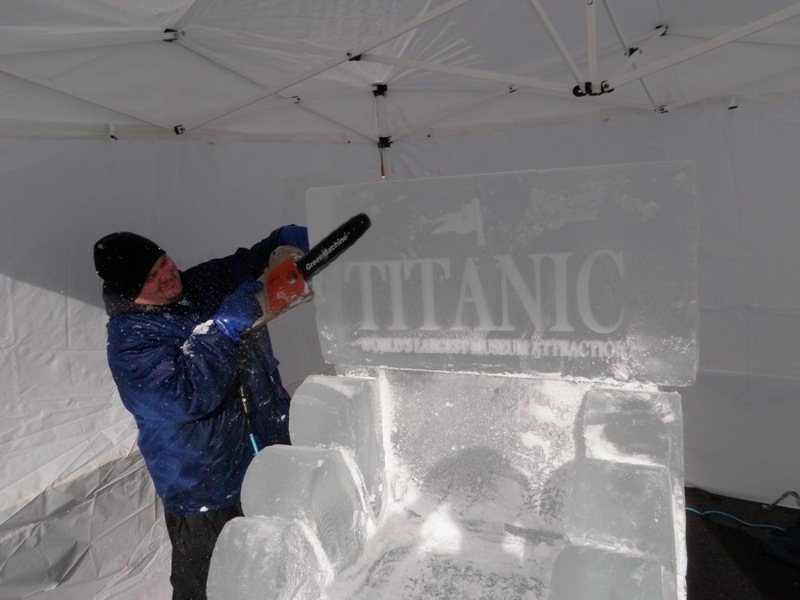 To see what real ice artistry looks like, check out the third annual Titanic Pigeon Forge Professional Ice Carving Competition on Jan. 19 (Saturday). A chainsaw becomes an artist’s tool at the Titanic Pigeon Forge Professional Ice Carving Competition. The parking lot in front of the Titanic Museum Attraction become an outdoor art studio as professional and amateur ice sculptors work their magic on 250-pound blocks of ice. Chainsaws start roaring at 9 a.m. to make the first cuts, and hand tools come into play at the day progresses. Winners celebrate at 3 p.m., and prizes – from $500 to $2,000 – are the awards. The cost to watch the ice artists at work is just right – it’s free.